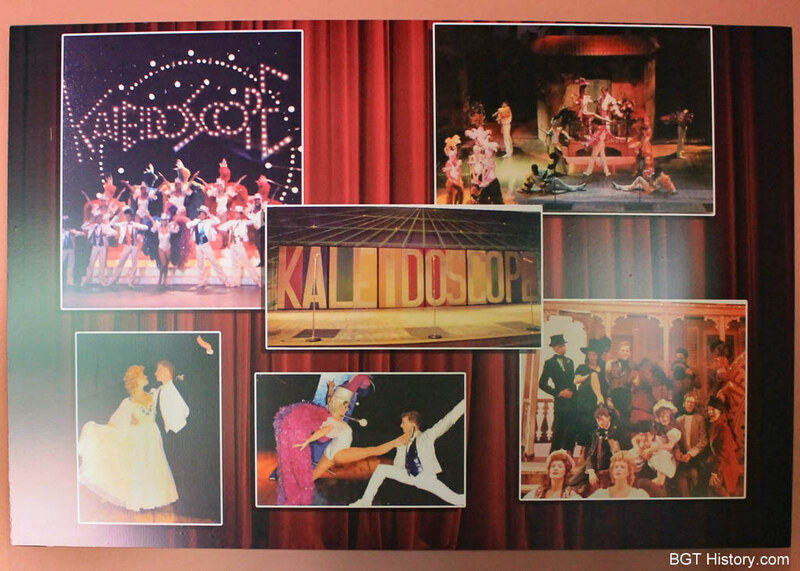 Described as the most lavish Broadway style musical to ever appear in a theme park when it opened, Kaleidoscope ran for three years in the newly constructed Moroccan Palace Theater. Kaleidoscope combined sections of performances from other shows at both Busch Gardens Tampa and the sister park in Williamsburg. It included costumed show girls, a tap dancing Busby Berkely number, a showboat scene, and closed with a patriotic finale. It ran from the theater’s opening in 1986 until 1989, when it was replaced by the park’s first ice show, Around the World on Ice. Additional details on Kaleidoscope will be added in the future.